Believe it or not, Bangalore does have a traffic control room. It is called the Traffic Management Centre and is situated on the first floor of Ashok Nagar Police Station. As you enter the air-conditioned room, you will see five LCD screens mounted on the wall. All of them are connected to computers. The screens show a grid of nine small screens with traffic movements captured through cameras. Any one of the junctions from the screen can be enlarged and seen in particular. The system uses two types of cameras: surveillance cameras and enforcement cameras. Presently the city has 40 surveillance cameras put on various junctions. Out of these, 33 are in working conditions and the others are yet to be connected. This camera is put on an eight metre-tall pole beside the traffic signals on the junctions. All the cameras are connected through cables (provided by BSNL) with the control room. These cameras are German-made (Bosch) and can be rotated in 360 degrees to see any point on a particular junction. They are controlled by a mouse or a joy stick. The camera can be zoomed in upto 1.5 kms of distance along the road. With the help of the zooming, the number plates of the vehicles are captured. All the screens constantly show a grid of all the different junctions and how the traffic is moving. At the same time one can also see if anyone is breaking the signals and also if the traffic constable is there on duty or not. If the constable is not seen on duty, the control room contacts him through a walkie-talkie and asks him to be on the junction. Even when the constable misses any violator, he is informed about that immediately, say the staff at the control room. When a vehicle is seen violating the signal, driving speedily, or not following the traffic constable’s directions, the surveillance cameras make a note of the vehicle (the number plate). This number is fed to an ‘automation’ computer as the police call it. This computer has all the details about all the vehicles registered under any RTO in the city. The automation computer is actually a data bank for all the vehicles that get registered in the city. This data base is updated regularly. – 110 signals under the control of city traffic police, rest under BEL staff. – Lights green/red for 90 seconds in peak hours and 35 seconds otherwise. – Differentiated programmes are loaded on particular signals depending on the area and traffic rush. Once the vehicle number is fed to the automation computer it shows the address, name of the person for whom the vehicle is registered. A challan is sent to the address and the person has to pay the fine in the nearest police station or in any Bangalore One customer service centre. Along with this there is a computer that is connected to the enforcement cameras. The watch is kept in the similar manner as of the surveillance cameras. But the enforcement cameras have a special feature by which they flash and click the images. The image then becomes a reference to find out who, when and where violated the rules. When a violation is observed, the clicked image is fed to the automation computer. For any violator, the enforcement camera clicks three images which are analysed in the control room to verify and fine the violator. The enforcement cameras are right now only on five junctions: Devegowda Petrol Pump in Padmanabhanagar, Hennur Cross, Kamaraj Road and the Tata Institute Junction (Malleswaram). One more camera is set up in JP Nagar which is not yet in working mode. All these cameras are using a special software called called Auto Number Plate Reader (ANPR). It helps identifying number plates of all the vehicles that pass a signal. The control room staff say that per day at least 200 violators are caught on one camera. But not all violators get a challan, because at times the camera cannot get the exact vehicle number due to technical errors. Along with the different kinds of cameras, the centre also controls traffic signals in the city. There are more than 700 traffic signals in the city and all of these are maintained, controlled and programmed by Bharat Electronics Limited (BEL). Out of all the traffic signals, 110 are under traffic police’s control. Some staff from BEL are stationed at the centre and they help in programming and controlling the rest of the signals. All these signals are connected by BSNL cables to a controlling server and each signal is fed with a programme for a day. There are three types of signal controls – fixed time signals, vehicle activated control and synchronised control. Fixed time signals run on a fixed time programme. For example each light (red, green and amber) will remain for a specific of 40 seconds. Then whether there is enough traffic or more the signal is programmed to be on one light for the set time. If there is more traffic the signal stays for more than 40 seconds as per the requirement. It trips only once the traffic flow reduces. Vehicle automated control is a programme in which if the signal turns green and there aren’t many vehicles requiring it to stay green for 40 seconds, then after waiting for 4 seconds after the last vehicle crosses, the signal automatically trips down. The line marked as the stopping line during a signal has sensors beneath. It can recognise if vehicles are passing by or not. Synchronised control is programmed for all the signals coming along a particular road. They are programmed to show green/red/amber one after another after a set time. In this way, if one gets a green signal at the start of the way he can get green throughout the lane and red if the person is not lucky. Each signal is controlled from the traffic management centre and all the programmes are fed into the signals usually on daily basis. The programmes can also be changed depending on the need. All the signals are programmmed to work from 7am to 11pm. The time for how long a green signal should remain can be changed depending on the traffic flow. On an average day the signal lights are green/red for 90 seconds in peak hours and 35 seconds in low hours. From 11pm to 7am all the signals in the city are in a blinking mode and show amber blinking. This is done keeping in mind that there is low traffic in the night. But the programme can be changed if the conditions are such. There is another function known as Hurry Call. This is usually done when VIP movement is happening or in cases of emergency. In this feature, a full road clearance is done. Hurry Call is invoked when an ambulance is found caught in the traffic, though not very often, according to Sudhir R, Sub Inspector of Police. The traffic management centre also has other rooms with staff keeping an eye on other traffic variations through walkie talkies. These control rooms are in direct contact with all the police constables on each signal and help them if they are stuck. There is a manned helpline room where all of us can call when we are either stuck in traffic or if we see an accident happening and want immediate help. The main toll free helpline number is 103 for all traffic matters. There is a second helpline, 25588444/555, which is a connected to a Telephone Voice Recording System (TVRS), which is a computer connected to the telephone lines. A caller is asked to leave his message and the message gets recorded. This system can be used when the caller does not wish to disclose his/her identity or when the 103 number is unreachable or busy. By most accounts, the city and state remain ill-equipped to fight terror. A dedicated squad is yet to come into existence, and all of Karnataka has only one bomb squad, which is stationed in Bangalore. The great cities in the world are remembering that ‘citizenship’ is at the heart of their plans for the future. Knowledge must be shared is the motto of this duo. 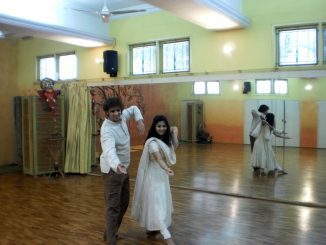 They train hundreds of aspiring students in Kathak and Bharathanatayam across different age groups. The basic prolem in Bangalore Trafic is nobody is folloewing lane discipline.Everybody crisscrosses creating a blockage.All western countries like PARIS, NEWYORK where traffic density is much higher there is no chaos. People whoever he may be follow the lane discipline rigourously.BTP should insist/enforce this simple thing ruthlessly by penalising the offenders.Itwill do wonders . BTP can try on some chaotics roads as a trial. Finally, Bangalore Traffic Police are thinking of enforcing Traffic rules. Good news!! Hopefully roads will be more safer & a comman man’s ‘right to safety’ is upheld. Great post… and the most relevant of them all…. Glad to see that technology is harnessed to a great extent in traffic control. Hope that the situation improves in the future. Supriya, That was a super article. I always thought all the Traffic-Control talk was some mythical creation of the traffic police’s PR wing.